I’m sorry for the abundance of photos but I wanted to show you my awesome photoshoot with the lovely ladies at Grafea. As we are both based in Manchester, I had the opportunity to meet them right outside my flat and head into the Northern Quarter for a street style shoot. 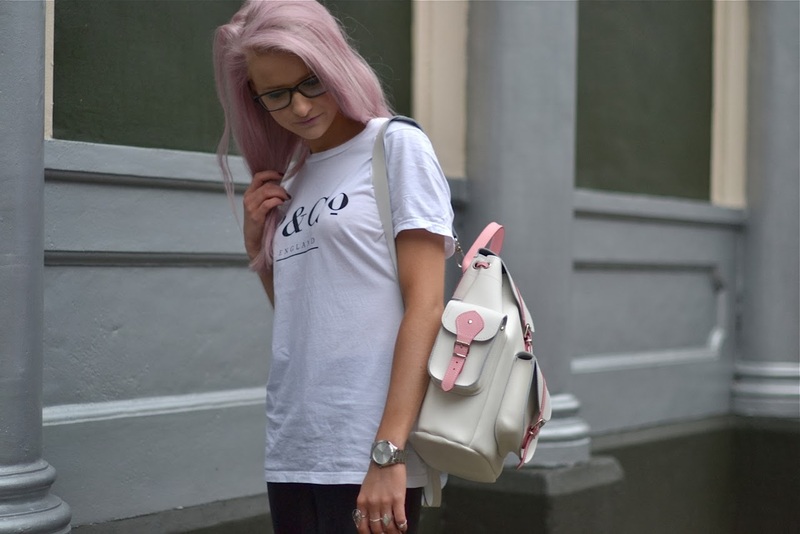 Wearing my favourite P&Co tee with American Apparel Leggings and Jeffrey Campbell Back Offs, we searched for some awesome locations to take some snaps. 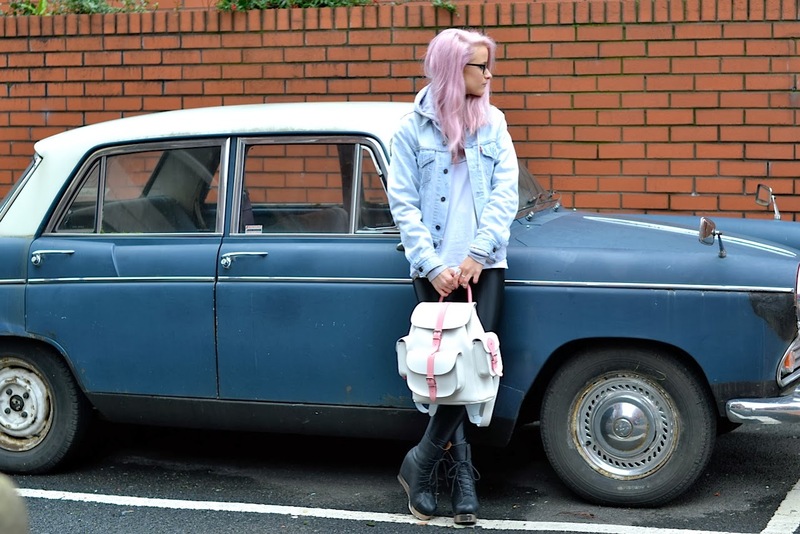 I had my favourite London retro glasses with me and my Levis Vintage Jacket for when it god colder. 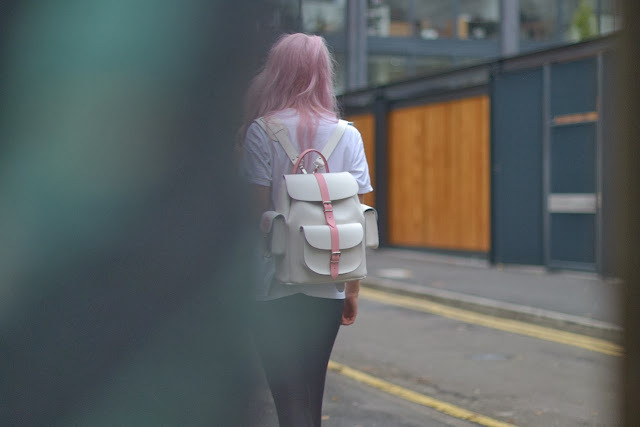 I absolutely adore Grafea backpacks and it was so amazing to get the chance to model with one. This is the brand new backpack in rose and it is just too beautiful for words. I expect a lot of amazing things to come from this Northern brand, especially as they are also now stocked in Urban Outfitters. I assume that this bag will be on a lot of christmas wishlists.